Holidays in Croatia offer wonderful sand and shingle beaches, historic towns and cities and a fascinating culture just waiting to be discovered. It’s fast becoming a favourite with British holidaymakers and it isn’t hard to see why. Couples will love the romance of the narrow winding streets and chic harbours, while families will find Blue Flag beaches, English speaking locals and lots of activities. If you prefer to explore there are opportunities to rent a car and discover the coastline, rural villages and waterfalls. With so many fantastic options, choosing the right place for your Croatia holiday can be difficult. Take the cosmopolitan city of Dubrovnik, full of history and gorgeous beaches, which makes it ideal for families and couples. If you want to spend your days island hopping, head to the city of Split, where you can book a boat trip. Or, if you'd like to explore Split more you can spend days admiring its historic architecture and lively culture. And for Venetian architecture and unique views, make your way to Rovinj, there are also plenty of beaches too. 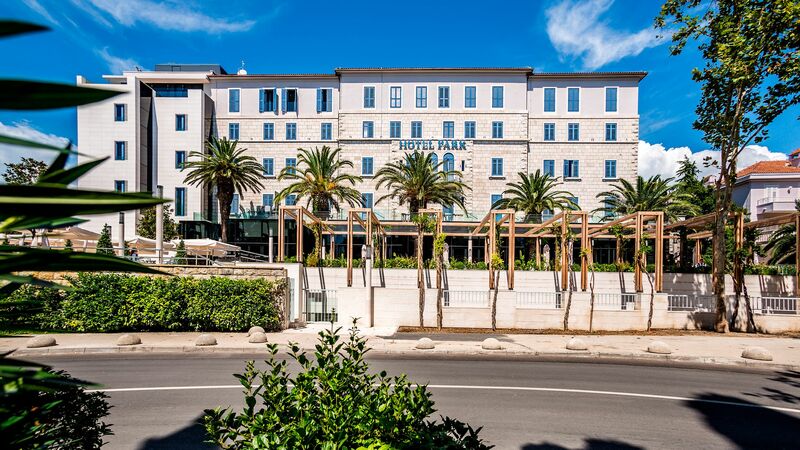 If you want to venture off the beaten track, Losinj is perfect. Situated in the northern Adriatic, this peaceful island is made up of tranquil fishing villages and is renowned for its natural beauty. Trogir is another peaceful place, being only accessible by bridges from the mainland, it's awash with history and has UNESCO World Heritage status. 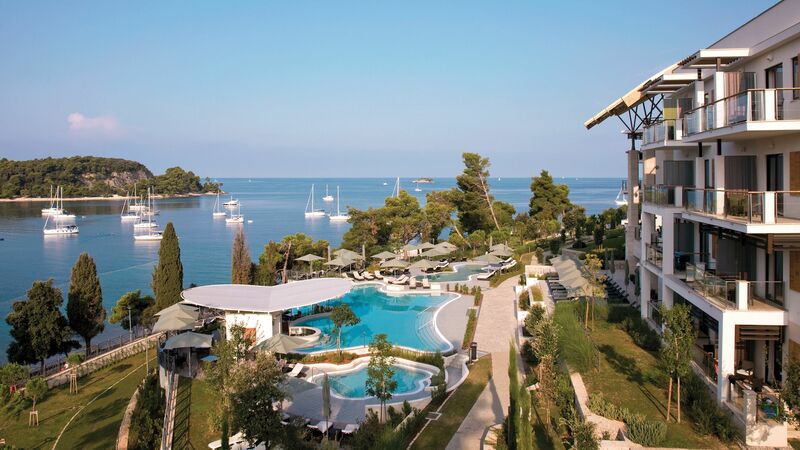 A luxury holiday in Croatia centres around the wonderful cities and beaches. It’s ideal for culture lovers wanting to admire the fascinating historical architecture of the towns, with winding streets full of designer shops and boutiques. Book boat tours and sail around the beautiful coastline or explore the national parks, where you’ll find waterfalls and rolling green landscapes. 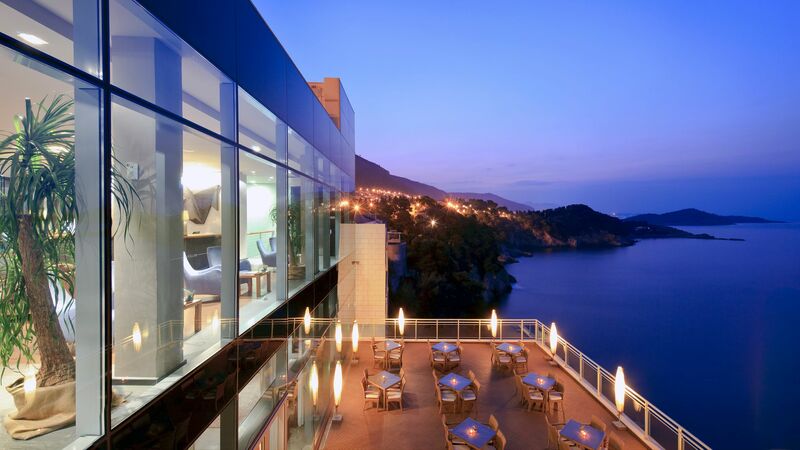 When it comes to dining there are some excellent options, with classic Croatian choices as well as international menus, featuring everything from Asian cuisine to Mediterranean favourites. 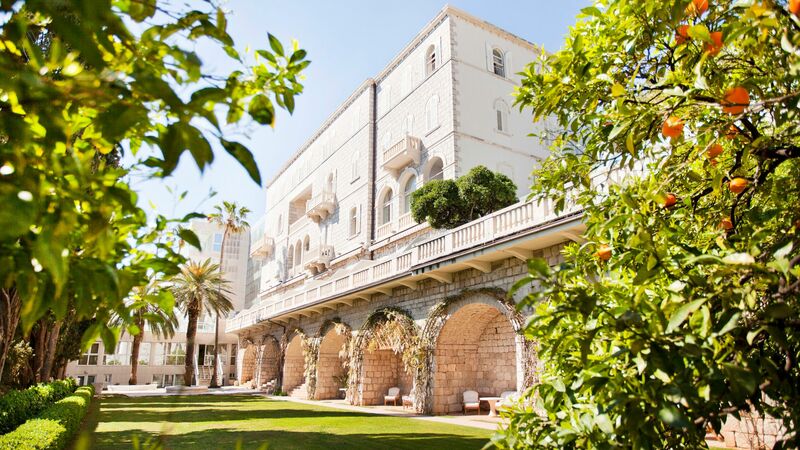 Book your luxury holidays in Croatia with Sovereign and we’ll help you find the ideal hotel for your trip. Whether you’re travelling with the family in tow, as a couple, small group or solo our Trusted Advisers will get to know you before recommending one of our carefully selected properties. 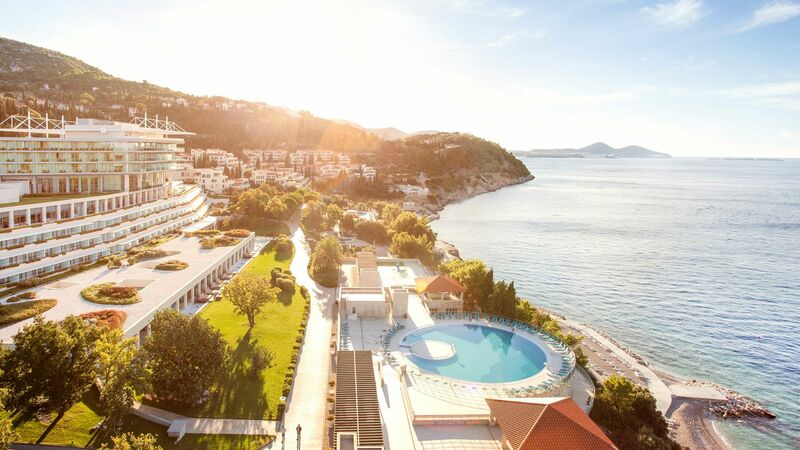 Families will love the Hotel Excelsior Dubrovnik, where you’ll find a choice of four bars and restaurants and spacious guest rooms, or the Grand Villa Argentina with its two swimming pools and close proximity to the town centre. 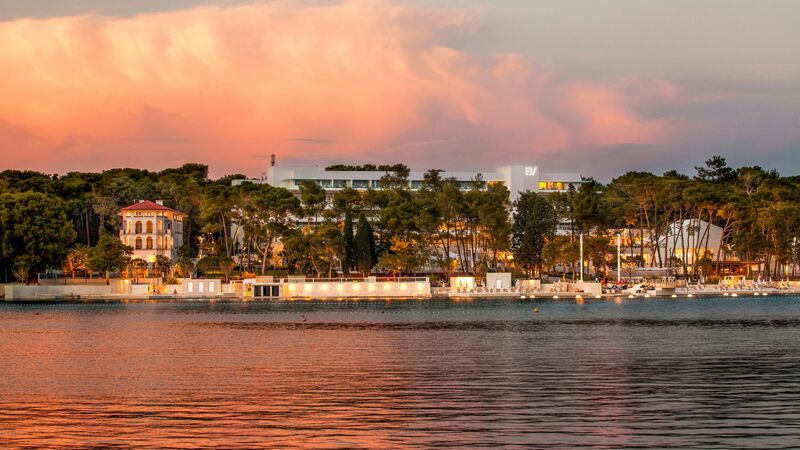 Couples should choose the elegant Hotel Monte Mulini or beachside Hotel Park Split. Gilded churches, maritime museums, marble streets and cliffside bars – Dubrovnik isn’t the most-visited city in Croatia for nothing. Cathedral-quiet islands and pine-backed beaches lie just outside the ancient city walls. 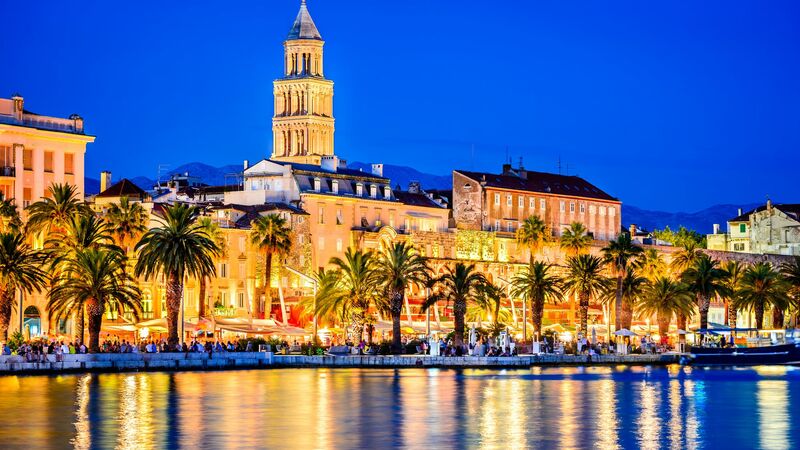 Split is one of the biggest – and prettiest – cities in Croatia, cultivating a joie de vivre that transforms its sprawling Roman palaces and auditoriums into cultural, dining and festival venues. Wander through the terracotta streets which lead up into the emerald forests of the hills surrounding Hvar Town or walk through the harbour area and soak in the views of the sea. Rovinj is a northern town with a Venetian look. It funnels terracotta-topped churches, marbled museums, cobbled streets and waterfront houses onto a little headland overlooking the Adriatic Sea. Trogir is an energetic seaside town on the small Čiovo Island – you can expect to find a backdrop of renaissance architecture, plus lots of fantastic places to eat and sights to see. Losinj is a quiet Croatian island secreted away in the north. Look forward to a mix of Italian baroque towns and wide, restaurant-lined bays. With its dazzlingly translucent waters and pretty white pebble beaches, Croatia offers the perfect conditions for an unforgettable family holiday. The waters off the coast of Croatia are filled with a constellation of spectacular islands. Some are close enough for day island hopping trips (either by ferry or private boat), while others are a little further away and best explored from one of our luxurious crewed yachts. Each one has a different flavour – Hvar delivers trendy restaurants and beachside bars, for example, while the Elaphite Islands are all about unspoilt coves reachable only by boat. Croatian cuisine is a diverse blend of flavours, from the inland regions' hearty fare to the coast’s lighter, Mediterranean-style cooking. Around Istria, you can taste the Italian influence, with pasta, risotto, fresh-caught seafood, wild truffles and locally grown olive oil. When it comes to meat, spit-roast lamb is aromatic and delicately flavoured. The peka, a bell-shaped oven, is a traditional Croatian cooking method, steaming meat or fish in their natural juices to really boost the flavour. A popular dish is Dalmatinski pršut (Dalmatian ham), Croatia’s answer to Italian prosciutto or Spanish Iberico jamon. Dalmatinski pršut is air-dried smoked ham which is sliced very thin and often served on a platter with melon or sheep’s cheese. Don’t leave Croatia without trying crni riýot (black risotto). This seafood rice dish is made with cuttlefish or squid, along with onions, garlic, parsley and white wine. Croatia’s wine industry has really found its feet in recent years, producing a number of dry whites and tannin-rich reds to sip with your dinner. Try the white Malvazija from Istria or the red Plavac (related to Zinfandel) produced in the south Dalmatian islands and the Pelješac peninsula. The local rakija (brandy) is usually made from grapes, often flavoured with herbs, honey or walnuts. 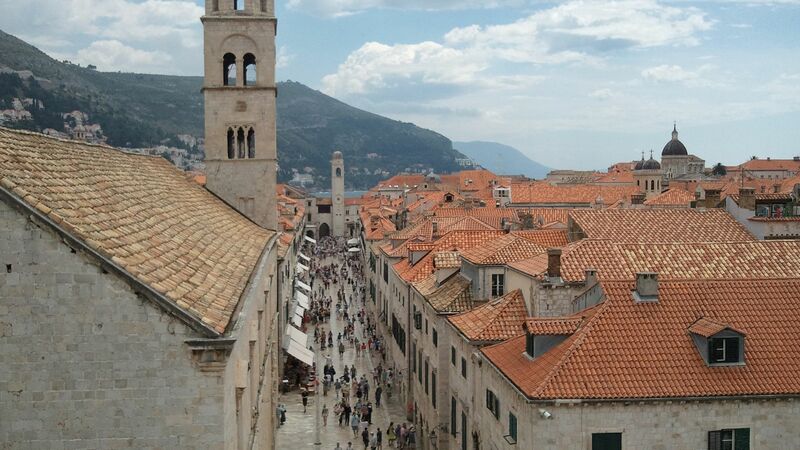 Dubrovnik and Split make a great combination. It's quicker to take the motorway between them (about three and a half hours), but the coastal road is much more scenic. You can also opt to travel by speedboat, which takes around two hours.